The first full biography of Ernest Hemingway in more than fifteen years, drawing upon a wide array of never-before-used material. 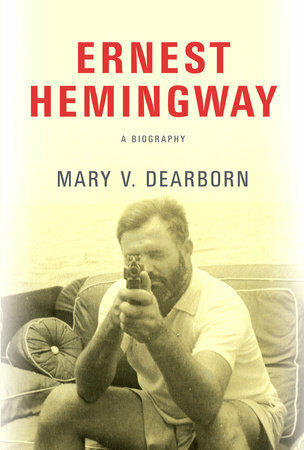 One of this biography's achievements is to deepen our understanding of Hemingway's fraught relationship with his mother ... Dearborn captures Hemingway in all of his extremes, the story of a hugely flawed and endlessly compelling human being producing enduring art. Dearborn delved into the Hemingway family archives in Texas, and she gives rewarding attention to her subject’s relationships with his father, his five siblings and especially his mother ... Dearborn is incisive about the ways each wife handled the difficult bargain she had made in marrying a legend ... Dearborn skillfully covers an enormous range of rich material; she is an indefatigable researcher. But I’m not an indefatigable reader, and her insistence on using every minute detail slows the momentum of Hemingway’s story ... Ultimately, the scale of Hemingway’s life is so colossal and his motives so convoluted that no biographer, however gifted, can neatly sever the legend from the life, or have the last word on its meaning. The result is a work in which 'the Hemingway legend' — a phenomenon in which Dearborn has 'no investment' — emerges more or less intact. Only here it is presented with an array of qualifications that cast Hemingway as a more troubled, complex and tragic figure than most previous biographies have allowed ... Dearborn explores these corners of his sensibility more fully than previous biographers, and she does so with subtlety and insight — qualities that are also present in her discussions of Hemingway’s work ... But Dearborn is not always convincing when writing admiringly. Her claim that Hemingway was uniquely adept at transforming life into literature is unverifiable, and vulnerable to the example of countless other writers ... On the whole, though, this is an admirable, affecting and thoughtful biography, distinguished by a scrupulousness and good sense that animates its subject with vigor. What did you think of Ernest Hemingway: A Biography?